Before going through the preferred institutions providing M.Des and Ph.D in various design fields, let me remind you that qualifying in CEED exam doesn't guarantee you for admission in any of the below institution as well as programme. After cracking CEED, you are required to go through the preferred institution website and apply to respective programme. You can even apply for multiple courses. Short-listed candidates with valid CEED score will be called for the departmental written test (Design Aptitude Test, Studio Tests etc) followed by interviews conducted by the institutions, which usually happens yearly anywhere between March and June, as part of M.Des admission. Every institution has their own style of tests and interviews. CEED score (Part B) as well as marks obtained in written test and interviews are considered for final admission. CEED score is valid for two years. Othe MDes courses - Fashion, Textile, Retail, Apparel, UI/UX etc. Indian Institute of Information Technology, Design and Manufacturing (IIITDM) was established by Ministry of Human Resource Development (MHRD), a Govt. undertaking. University of Petroleum and Energy Studies, is one of the emerging institute offering B.Des and M.Des. For your convenience, I've added some more institutions for doing post graduation (masters in Design) in India. Please note that these institutions might or might not require you to crack CEED. Most of them have their own pattern of selection like Design Aptitude Test (DAT) followed by departmental studio tests as well as interviews. NID is one of the best reputed design institutions, not only for Indian students but also for for foreign students. Till date there are three branches in India and offers various courses in a span of 2.5 years. (Mumbai, Chennai, Delhi, Bangalore, Gandhinagar, Hyderabad, Kolkatta, Bhopal, Patna, Kangra, Shillong, Bhubaneswar, Rai Bareli, Jodhpur, Kannur) Not all campuses offer all mdes courses. Soft Material Specialization: Focusing on textiles, leather, paper and natural fibres. DJ academy established in 1983 is one of the successfully running design institution with good faculty and facilities; offering a wide range of design streams. DII is one of the leading institutions in India offering different creative career possibilities. DSK provides certification programs in Animation, video gaming and PD. Through GATE score ONLY followed by interview. CEED score not accepted. From among the applicants, short-listed candidates will be called for an interview at the CEPT University. The candidates will be selected for admission based on their interview. Their Higher Secondary, Secondary and Undergraduate exam scores will be considered. In addition, Statement of Purpose (SOP), professional experience and portfolio will also be reviewed. Where applicable, work experience of candidates will be considered. 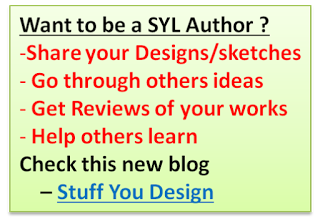 Like Stuff You Look blog on Facebook page to stay updated with latest posts. ωhoah this blοg is fаntastіc i really like reаding your articles. Stay uup the great work! You know, lots of individuals are hunting round fоr thus info, you can helρ thеm greatly. IIT IDC or NID?? which one is preferable i mean, which one is best?? As per my view, IIT IDC is better, in fact I prefer IDC only, because I hope NID is best for students totally good at artistic skills and IDC is a mix of tech and design. But anyway please note that NID is one of the best institutions even in the world for creative minded people. What do u think ? your blog is really helpful. Keep up the great work! All the best with your blogging. im giving for the MITID-DAT 2014.please suggest me about how to prepare for it,and model papers or ref books if any? Can i know the question that are asked during the interview for M.Des? b. 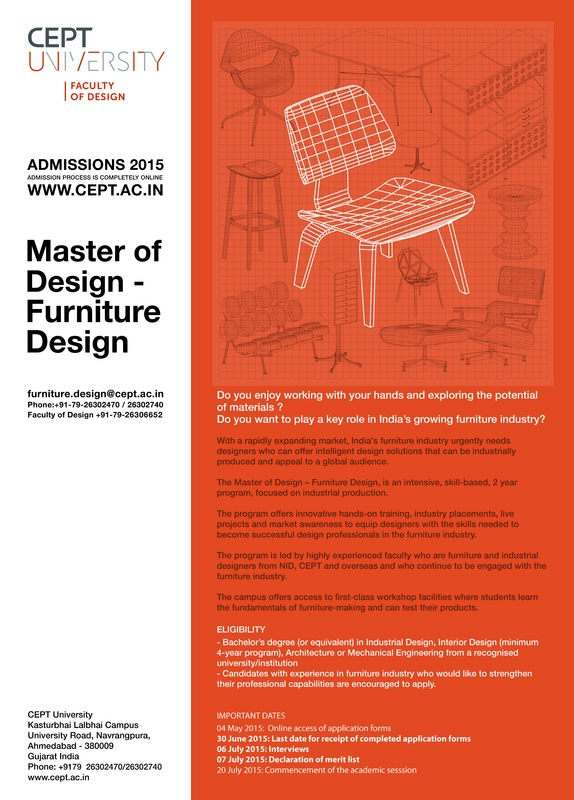 Why you are opting design as career ? d. What you can contribute as a designer ? 2. Major part of the questions were expected from your own portfolio. So, it's better if you prepare well on "HOW TO EXPRESS YOUR PORTFOLIO" prepare a list of things to be covered in your explanation and revise the same many times. Anyway your portfolio itself should explain everything ! 4. You should be good at communication and friendly behaviour while at interview. 5. They may give a design question (or) creative exercise (or) any story writing , so be prepared for it. 6. You are also advised to get prepared for some hands-on exercises. 5. Other than the above, please prepare just like you prepare for any other interviews (like software selection) like explanation about yourself, your passions/interests, aims, strengths and so on. 4. A list of things to be explained. 5. Most Importantly practice before a mirror by giving all explanations that you prepared, that will definitely help you build your communication and confidence level. These are just my views. Hope this helped you two. IIT IDC Animation or NID Animation film design??? which one is better??? It depends on your score. I prefer IITB IDC Animation. But anyway I hope, for those who wants to explore career abroad - NID Animation can be a better option. For career as animator in India, IITB can be preferred. I need to confirm that anyway ! Please check from your end too. First of all congrats for your achievements. Clearing CEED as well as NID is a great thing and I'm glad to hear that my blog helped you. Anyway I would be happy to help you, but please leave let me know your question ! what you wish to ask here ? Although IDC is good for Industrial Design, you can see not all IIT's support Animation. So the left option is NID. Animation has very good future (especially for Indian animators) both in India and abroad, so it's not a bad idea to opt AD. Both IDC and NID are good for Animation and if you are particularly interested towards technical point of Animation, I think you can prefer IDC, I can also say you can prefer any design stream from IDC. Hope to see you in IIT B ! Would you have any idea about which of these rank great for interaction and communication design? I couldn't achieve IDC IIT Bombay or NID. 1. Choosing most similar design streams like Industrial design or even Product design. Industrial design is more or less equivalent to IXD except for some minor difference. Even PD caters the needs of both IXD or ID. So, if you can compromise, then try to get these courses from any other IIT's, preferably IITD and IISC. 2. Waiting one more year to give one more try ! I would recommend this only if you are say working or if you are capable of sparing some more months. I had a reason to say this, remember being a designer means you need to have lots of passion towards that stream and without passion, there won't be good future. So, if you are particularly passionate about IXD and if you have time, better to watch for next exam. 3. Finally, Private institutes matters. I never recommended private institutes to anybody till now. I feel that getting graduation from IIT's or even NID have more value. In fact it would cost more in private institutes. If you can afford for the expenses and compromise being away from IIT, then you may definitely try for some colleges like MIT and even DJ institute. I don't have knowledge about the career prospects of these institutes. If found I will share here. One more thing Bhasin, I used to say that design capabilities are obtained right from the childhood. It's definitely true, but it's also true that one can develop design skills in the middle. Even I started developing this recently. So, if you are confident, then you may go for Visual communications or any other design streams also. After all all design streams are related to aesthetics/ergonomics ! So, choice is yours unwrap your diverse talent and choose alternatives. If you have missed IXD that's not an issue, check your interests in other streams also. You will have bright future. As i'm called for the M.Des interview based on my GATE 2014 score, can i get some tips for the interview ???? Good to hear that you received M.Des interview call, that too through GATE ! Great and congrats. Ok, regarding your query on some tips for interview, I had already given interview tips for some of our friends in this post. You may check the reply to the comments of Nainika and Vaibhavi (just above this comments). Hmm, How can I put ? I think the difference is more or less like B.Tech and B.E ! If you are an engineering student, then you should've understood by now. Both B.Tech and B.E are same but just with the degree. Similarly, I hope both PGDPD and M.Des are more or less same, anyway both are Post graduate program's ! Thank you for the acknowledgement. Let me tell you one thing - I worked in every respect to make this blog, most understandable - that is supposed to cover all the parts of CEED process. I'm happy I did it and i'm still improving it. You may go through almost all this blog posts to answer all your questions. Nothing left for me to discuss. hi i would like to know about the scholarship program in mdes during course . As per my knowledge, there's no scholarship provision for mdes students like M.Tech or even MS students usually receive. Anyway please contact prospect students or seniors to confirm the same. actually i am pursuing final year degree in mechanical engg. and very much interested in design .. Your blog is really helpful ..
For design, no doubt NID and IDC are in top list. But, can you please tell if UPES, Dehradun or Maeer's MIT are good choices for studying design ? UPES is definitely a good option if you couldn't get into IIT's or NID, you might also look for IIITDM and some private (If the options are not available for u) institutes like Pearl, MIT Pune etc, although I'm not much sure about Maeer's MIT. Stumbled upon this blog a year ago. Got fascinated about Design and the courses. I felt the exam was interesting.Then i came to know about Part B of exam. It kind of got me intimidated. But anyways, I'm looking forward top prepare for it. But What should be my motivation to appear for the exam. How do i know that this is my field, or that i have an aptitude for design. What questions should i ask myself before plunging deep into it. You probably haven't checked this page. If checked then im sure you wouldn't need me to answer your question! First of all Thank you so much for all your helpful support here, I am sure a lot of students are getting the advantages of your blogs. My query is that unfortunately I could not make it to NID this year for MDes, however, I have got selected in two private colleges, DYPDC Pune and UPES Dehradun. But I am confused now about which college to opt between these two. My passion is Automobile Design. So, please help me on this, I would really appreciate or suggestions. My preference will be DYPDC, although the fees are high but still it's specific and good for auto mobile design. UPES design is also a good choice but for me it's a second option. Fees is my only concern, anyways will go for DYPDC only as it is specifically dedicated to Automobile Design. Moreover, one more suggestion I need from you sir, I am also writing the MIT Pune's exam for MDes, which will be held in the month of April. So, if I ask you between DYPDC and MIT Pune, which one would be the better option..? I mostly heard gud reviews about MIT, but not much sure about this specific stream (Transportation & Mobility). Do one thing, compare the placements percentage and the companies offering openings every year in all the three institutes. That itself should give you idea on which one to choose. If possible check their syllabus structure too. I qualified in my CEED 2016, thanks to your blog. I wanted to apply for interaction design. I was wondering after IDC iit kanpur and IIT guwahati offers you an overall masters course and not separate courses like IDC. So where do these two stand when compared to IDC in terms of design.? They are good to be considered. Although most prefer IDC (may be due to hype or placements) but still IIT Kanpur ie equally good so is IIT Guwahati. I came to know that in 2014, a candidate with AIR 2 took IITG instead of IIT B. So, you should now know their importance. Just look into the course structure and see which suits you. Hi Banu. I just qualified CEED 16 with a rank of 470, part B 32 marks. I would like to know if I have any chance of getting into IISC bngr. And Yeah I forgot to mention that your blog was the only reference I had. Thanks for that too.. I think u won't be able to get in IISC. Go for IIT's other than IITB etc, esp. for that rank I think your chances for IIITDM and IIIT Hyd might be high. Anyway chk individual insti cutoff for further selection. Mine is just a review based iiin previous years selections. Thanks for the Reply Bhanu. Do you think I have a small chance of getting into an IIT. Or am I only able to get into an IIIT. I would like to inform you that you are the only source for my dreams in a designing career. hope to get a reply soon because I have not applied to any institute and the time is short. I already gave u the clue in the above comment. I'm not pretty sure about IIT selection, but you might get chances in IIITDM and others. Like I said above, plz check individual insti cutoff and apply accordingly if ur rank is accepted by them. Check IIT G too! I was searching for information about IDC and NID master's. I found u r blog . My question is do you know any thing about eligibility criteria for ceed and nid . In ceed and nid I found tha g.d art student need one year post experience do you know anything about that . hello Rajesh, I'm not sure about that, if they've mentioned means that should be taken for granted. Hi Bhanu, what is your view on Srishti Insitute of Art and Design in Bangalore ? but first option should be IIT's, IISC followed by IITDM/UPES. If you miss them, then yes among the available private institutes, you can check for Srishti, MIT, Symbiosis and even Raffle's can be good option. Better get reviews from prospect students. Hi sir your blog is just too much helpfull thankyou.....i have a dought, im intrested in autmobile designing so what will be the better optn NID or IDC?as concern with job opportinuties futhers for this colleges also..
IDC will be better tou, or go for private institutes like DYPDC but those r bit costly! Hello Sir! I have cleared CEED 2017 this year with an open rank 221 scoring 46 marks in Part B, Category rank in SC is 31. Please let me know my chances of getting into IITs and IISC. Do reply..
Also, since I am a final year Architecture student will it be okay to add small parts of projects related to my ug field in my portfolio? And during the interview I have even heard that they ask about technical stuffs.It will be highly helpful if you could kindly explain about it.. Ya, you can include small part just like u planned. Technical stuff in their view (whoever suggested you) might be related to the working or operation of say a product if you're applying to product design, like the mechanism involved etc. It might not be that deeper but may be a basic observation that they would test upon you. I don't see any specific matl or webpage for that. It should be based on your observation and little of logical thinking of the way you answer the technical stuff (say the mechanism) to them. So, apart from ur portfolio and studio test prep works, do observe some daily used products/objects working (if for PD) and similar to other design if applicable, like for another instance, say the frame to frame transaction tools/process o=in case of anim design. hello sir i have cleared CEED 2017..with 32 marks (OBC)....i just want to ask that do IITs have individual cut off?? Sir, I have scored 41 in Ceed GC-357 rank. my interest is basically Transportation and mobility design and industrial design. Please can you tell me the colleges best suitable 4 me which are not very expensive and also am I eligible for IITs? Thing is you won't get an interview call unless you don't apply to their institute. You've to apply to individual institute. Go throught the institute websites and check the cutoff's that they ask. If ur rank/score is eligible for applying, then you can apply for them and if they shortlist, you will get an interview call. Sir, I have got admission in IIT Delhi and IISc Bangalore. Or is IIT Guwahati and IIT Kanpur better choices? "MDes from IISC is more of industry oriented and stuff like design through technical/engg. is included in the course content, it’s more of engineering way, but mdes from IIT Bombay has more emphasis towards design and comparatively less technical oriented. You can check course content in individual websites and compare the subjects that they are delivering for more insight." this is always a doubt to most of the aspirants. 2. Not only matters stream concern. 2. getting less score by attempting stream specific ques. In the later case, if by chance the attempt didn't went well, then u might end up choosing ur desired stream but in not-targeted institutes. In the first case, if u got good score, then during the interviews at the target institutes, u can showcase ur interest in the stream u wished to take. You can convince them by way of portfolio and telling them verbally, stating ur interest. I think that is the best way. In fact CEED is a common entrance and if u have observed prev papers, u should have observed that not all stream ques are covered every year. Does the admissions for the given stream specific ques occurs ? hope this makes sense. So, prepare in general, though u can give much attention to ur desired stream but don't neglect other streams. For safer side, at least u shld be ready to answer st least two streams, in particular Product design, the second can be UI or even VC/animation frames. Hi, Bhanu I want to know about the placement in electronics system of Iiitdm Kanchipuram, can you please help me. Hi, I wanted to know about the institute DYPDC as im totally into automotive design. also what are the placement scopes for this istitute?